The best reason to get involved with affiliate marketing programs run by companies like online retail giant Amazon has always been simplicity. Your online business can focus strictly on driving traffic and encouraging sales without worrying about order fulfillment, inventory, returns, or any of the other inherent headaches coming from running a typical e-commerce business. Your small business has global reach. This has always been the case with the Amazon affiliate program, of course, but now it is arguably more so. Working from a laptop in your home office, you essentially have the resources of a global retail and distribution network helping you sell and ship products to your distinct audience, and with Amazon's same-day delivery roll-out, your business just got an upgrade. You can compete with local retailers. If your online business specializes in local content, you now have the opportunity to compete directly with local retailers in a whole new way. Your local audience now has a means to shop through you, saving time and money, with an almost limitless number of products comparable or beyond those offered by brick-and-mortar retailers in your region. Shoppers on your site no longer need to take the time to go to the local WalMart and will still get their order the same day. You can monetize almost any topic. One of the shortcomings of Google AdSense is that it can be more difficult to monetize some topics; but no more. From action figures to arts and crafts supplies, tube socks to Teletubbies, Amazon can help you monetize just about any Website topic and take advantage of a rising trend in online shopping which will only increase with same-day delivery. 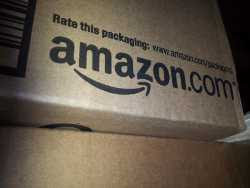 How can Amazon's new enhanced service improve your online business? We'd love to hear.